The Law Offices of Stavis Gilbreath is a Houston based law office, providing a wide range of legal services including both Civil and Criminal cases. Since 1988, Attorney Stavis Gilbreath has been representing the citizens and businesses of Texas in criminal and civil matters. Stavis Gilbreath is committed to protecting your legal rights and works hard to uphold the high standards that come along with being a Doctor of Jurisprudence. At Gilbreath Law, we give our clients the attention they deserve and we treat each case as if it were our own. Stavis Gilbreath has 13 years of experience in collecting debt owed to construction companies, small businesses, and rental companies in Texas. He uses a variety of legal tools to collect debts owed to clients. Some of these can enable your business to obtain payment while retaining the loyalty of good customers. Other ways are final options. He helps you obtain payment for the goods or services your company has delivered. Stavis Gilbreath has been representing clients throughout Texas in personal injury and other civil litigation matters for over 20 years. He knows how to investigate construction accidents and job site injury cases and has a record of success in such actions. As your lawyer, he works to build a strong and convincing case designed to maximize the compensation you receive. 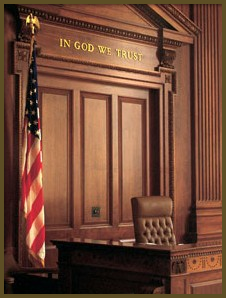 E-mail our law firm in Houston, Texas, to set up an appointment for knowledgeable law services.